Borders Line: My Favorite Books Of 2011 And Most Anticipated Of 2012 | Birth.Movies.Death. Ten of my favorite books from 2011, and five of the books I most look forward to reading in 2012. I am an unabashed bookworm, and 2011 has been a very good year for bookworms. I spent the year frequently tempted to neglect all loved ones and responsibilities, hidden away in a room empty of phones and computers, surrounded by canned goods, bottled water and an infinite stack of books. I imagine this is a dream shared by many readers, with no one and nothing to distract us from our first love. When I first saw this Twilight Zone episode at a very young age, I quickly realized that Burgess Meredith and I share more than a name. It was not to be—real life, obligations and actual human beings called me away too often from my beloved books, but I still managed to get some serious reading in. Below are my favorite books of 2011, and a few books for which I most look forward to ignoring everyone in 2012. Fey’s memoirs are painfully wry, awkward and entirely hilarious. I counted the times I laughed aloud while reading—something I don’t do often--and the grand total was nineteen. 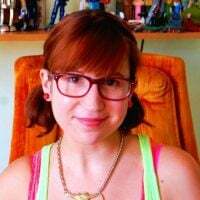 Filled with memorable anecdotes, juicy SNL gossip, legitimately useful advice and delightful self-deprecation—not to mention charmingly terrible photos of a young, nerdy Fey—I fell in love with this book and almost read it cover to cover in one sitting. Larson writes non-fiction in a seamlessly narrative way that reads as the most riveting novel you’ve ever enjoyed. He weaves primary sources into the story with effortless harmony, and the result leaves the reader flying through a gripping story, all the while absorbing authentic history. I’ve read two of Larson’s previous books, The Devil in the White City and Isaac’s Storm, and I never grow weary of his wonderful style. 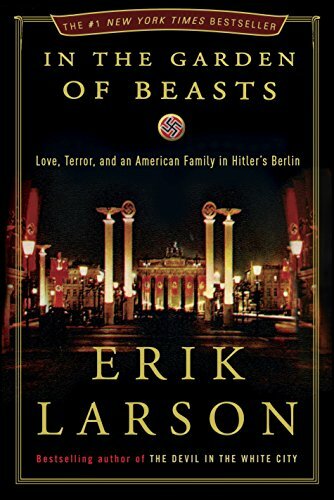 In The Garden of Beasts tells the story of America’s first ambassador to Hitler’s Germany and the ambassador's family, particularly his wild daughter—a strikingly captivating tale that reveals much about the atmosphere of Nazi Germany. Former Poet Laureate Billy Collins is my favorite modern poet, his words offering a simple, elegant strength that lingers long after the book is closed. Collins’ compilations are always fresh and surprising, his observations never losing relevance or poignancy as they are modestly dressed in wry humor and unadorned language. and pierced the enormous circle of the zodiac. Often bestowed with the tile of thematic heir to the Harry Potter legacy, Lev Grossman’s series starting with The Magicians deserves praise on its own qualities. The sequel, The Magician King, maintains the grandly adventurous feeling of the first book, with bigger questions and deeper mysteries unraveling at a rapid pace. Grossman’s language is charmed and transformative, and the world of Fillory remains exquisitely mystifying. Eugenides’ third novel establishes that he can speak authentically in any voice. The protagonists of The Virgin Suicides, Middlesex and The Marriage Plot are so vastly different, similar only in their struggle for meaningful connections and in their deep significance to the reader. I have lots more to say about The Marriage Plot, but I’ve already said it all in this review. I have a deep and abiding love for Wicked, the first novel in Maguire’s labyrinthine Oz reimagining and one of my favorite books of all time. I enjoyed the following two sequels, Son of A Witch and A Lion Among Men, but I never felt that either book even approached the joy and profundity of that first beautiful, twisted novel. But with Out Of Oz, Maguire finally produces a sequel that deserves the title. Telling the story of Rain, the granddaughter of Elphaba (The Wicked Witch of the West), along with a cast of other familiar characters, Out Of Oz is a wonder to read. I wrote about the series here. Bradley’s amiable mystery series stars an unlikely protagonist, the persnickety 11-year-old chemistry wunderkind Flavia. She tears around the countryside of the 1950s British village Bishop’s Lacey on her “noble steed,” a 10-speed she’s named Gladys. Flavia’s a bit of a sociopath, a crime-solving genius with very few ethical qualms. A Red Herring Without Mustard is the third book in the series, and I honestly believe the books haven’t lost a smidgen of quality from the first book, The Sweetness At The Bottom Of The Pie. I wrote about Flavia here. Before Shockaholic, I had never read any of Fisher’s memoirs, but just try to keep me away from them now. The book is a breeze, written in Fisher’s bright, funny, self-effacing tone, filled with scandalous Hollywood anecdotes and startlingly personal insights into Fisher’s troubled life. I reviewed the book in full here. Vowell gives a vivid, wry portrait of the Americanization of Hawaii, retracing the efforts of New England missionaries and the remarkable story of the coup against Hawaii’s queen in 1893. Much like Larson, Vowell makes history brilliantly retellable, with extraordinary characters and a flabbergasting story that happens to be true. And he wants that bridge to be something truly great and miraculous. At last, the second half of the historical epic beginning with Wolf Hall will be at my greedy fingertips! Wolf Hall follows Thomas Cromwell from his beginnings as a pauper, to the height of his power as advisor to King Henry VIII. Bring Up The Bodies returns to the fictional retelling with the entrance of Anne Boleyn—in other words, just when it gets really good. Gibson is best known for his novels, particularly Neuromancer, but he’s often written highly popular essays for publications across the world. Distrust That Particular Flavor collects Gibson’s essays, articles, travelogues and music criticisms into one highly anticipated volume that will soon be mine, all mine. Cronin’s follow-up to his madly successful book The Passage debuts in August, and I truly cannot wait. The Passage slayed me; it's a book about vampires, if you can believe it, that moved me to tears and terror. The book ends on one hell of a suspenseful note, and I’m having trouble sitting still for its sequel. I wrote about The Passage here. Yes, you read that right; this book actually came out last month. But I’m knee-deep in other things to read, and it will surely be 2012 before I can get my hot little hands on the next volume in Flavia de Luce’s mystery travails! My eagerness is certainly not dampened by the fact that the title refers to a line in one of the greatest poems in history, Tennyson’s "The Lady of Shalott." Came two young lovers lately wed.
And now I am beset with that familiar yearning to disappear into my study, sip a mug of tea, turn off my phone and read for the rest of my life. But, like you, I will soldier on, remaining social and attending to obligations until the next moment I can abscond into a world beyond pages where no accountability can touch me. What are your favorite books of 2011? What are you most looking forward to in 2012? Wanna See Some Exclusive Images From SPIDER-MAN: INTO THE SPIDER-VERSE - THE ART OF THE MOVIE? A new book will tell the tragically timely tale of Milicent Patrick, the woman who created the CREATURE. Fans of Damien Chazelle's latest should definitely take a look at this.